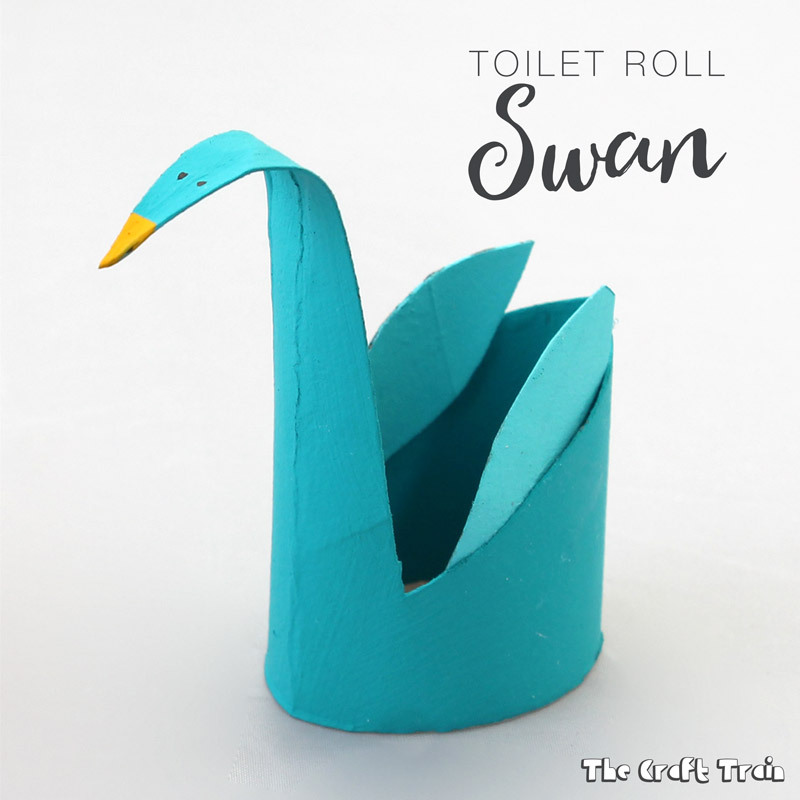 Toilet roll crafts are something I find a little bit addictive. 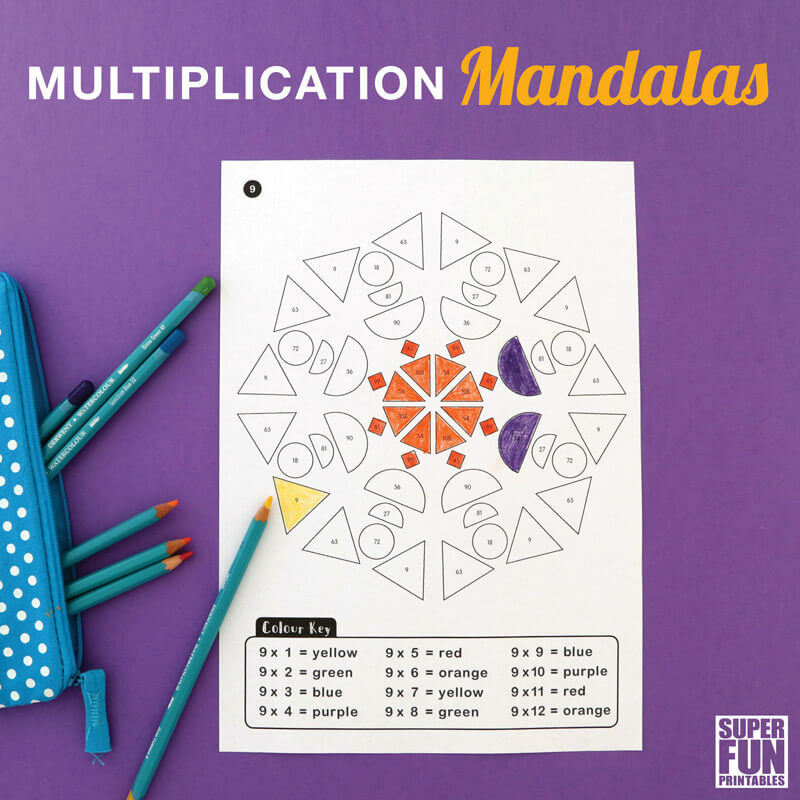 When you figure out just how many possibilities there are for cutting and folding them it’s hard to stop one idea from leading to another and then another. 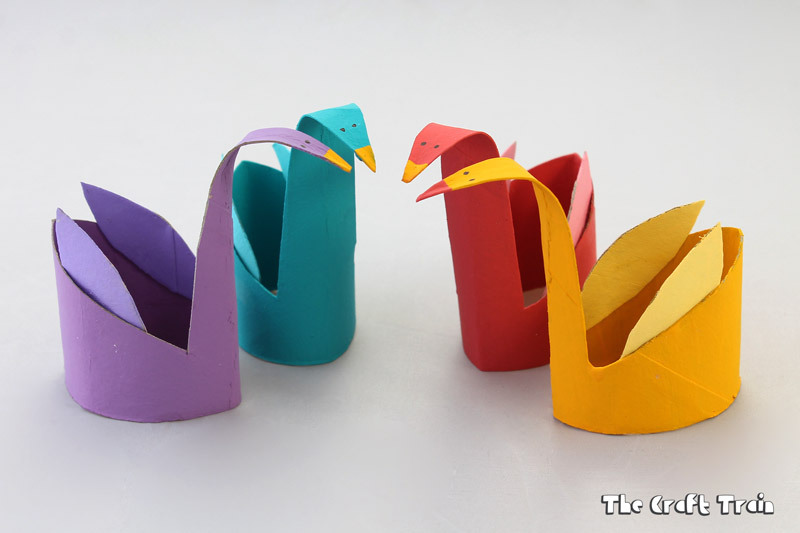 These swans are particularly simple to create, the first time I made them was with the kids when they were preschoolers for a Wild Swans fairytale craft which I wrote as a guest post for Mom to two Posh Lil Divas. 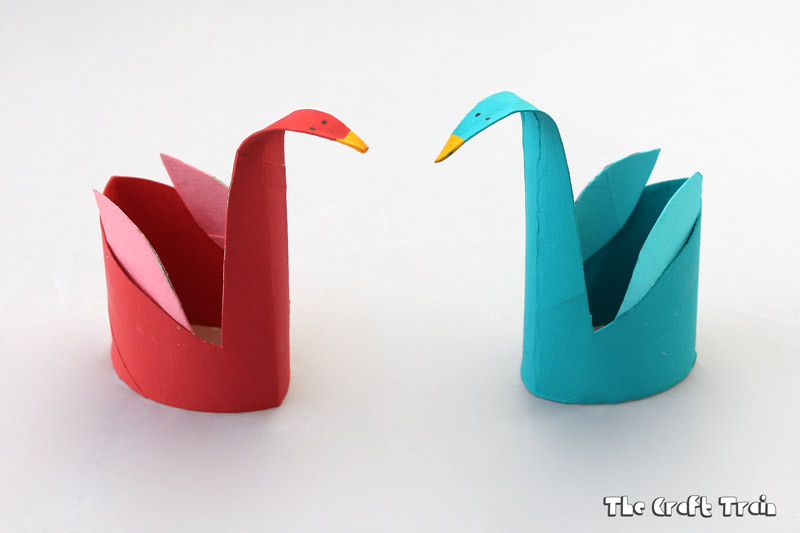 The swans have been modernised slightly, but they are still super easy and a great craft to make with little ones who can paint and decorate them if they are not quite up to the task of cutting and folding them yet. 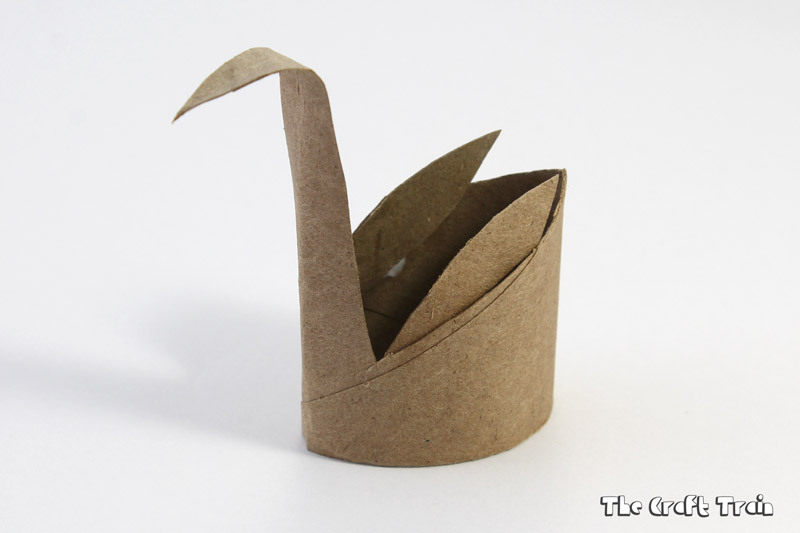 Squash your toilet roll flat, then cut it in the shape shown above. 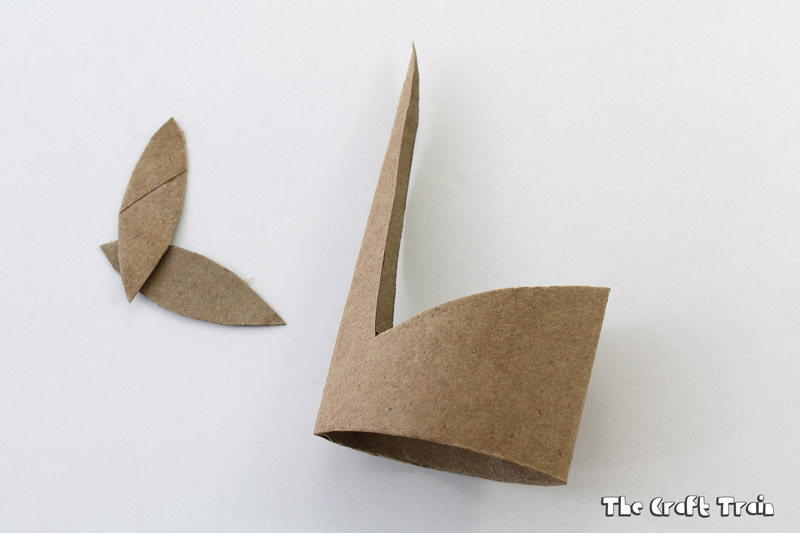 Use the discarded piece of cardboard to cut the leaf-shaped wings from. 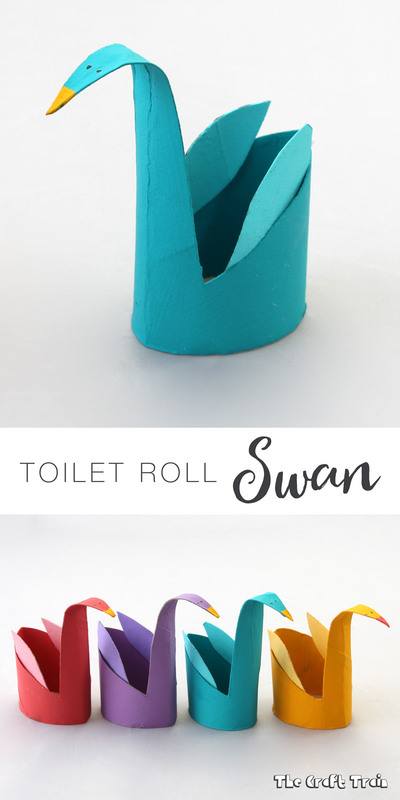 Pop the toilet roll back into a round shape and bend the pointy piece down so that it looks like a swan’s graceful neck. You can glue the wings on either before or after you paint them, but for the purposes of showing how to put it together I have stuck them on before painting. 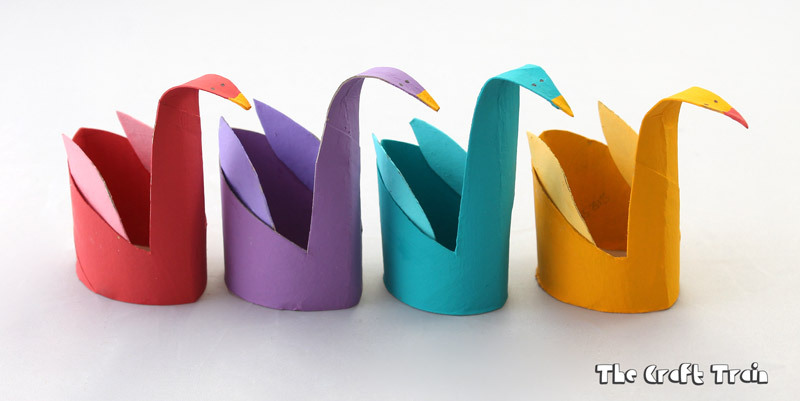 Paint and decorate your swan, and draw two dots for eyes with your sharpie marker (or use black paint) once it’s dry. I’ve gone for bright colours but you could stick to the more accurate white or black colours if you want to be technically correct. 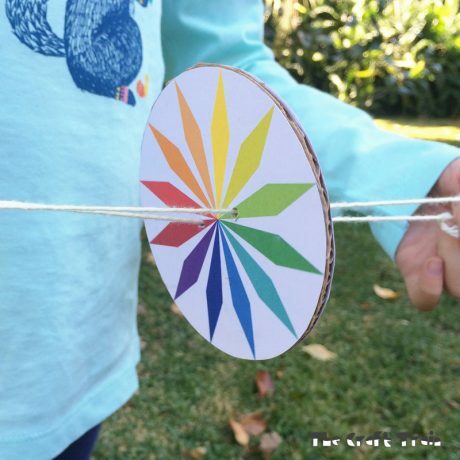 They make a fun DIY toy for kids and are a great way to craft and play! 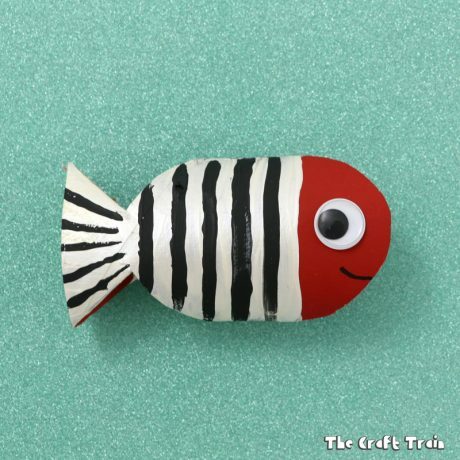 You can find lots more fun toilet roll crafts on our Cardboard Tube board on Pinterest. 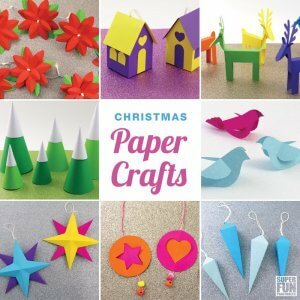 You can definitely use that instead, I actually find a particular brand of paper towel gives the best paper rolls for crafting so I usually stock up on them and use for all my cardboard tube crafts. 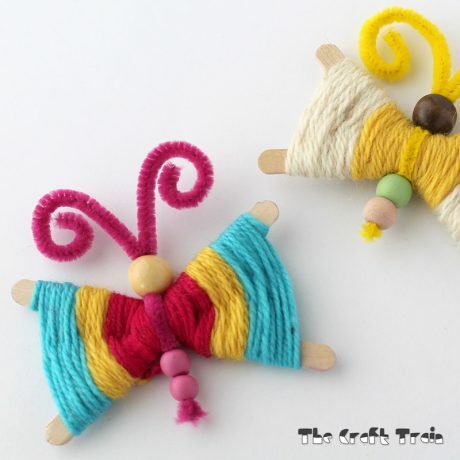 I don’t know why I call them toilet roll crafts! Why? You don’t use the cardboard roll. It is quite clean! Ooh! 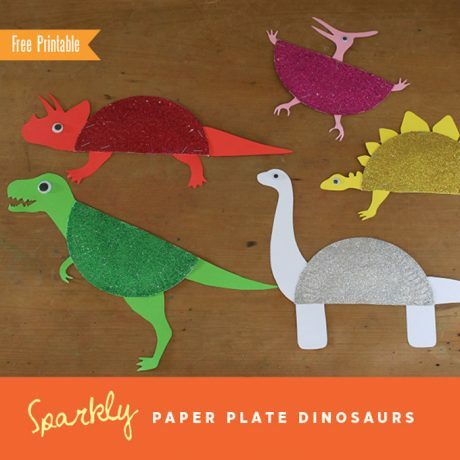 These could end up as dragons! 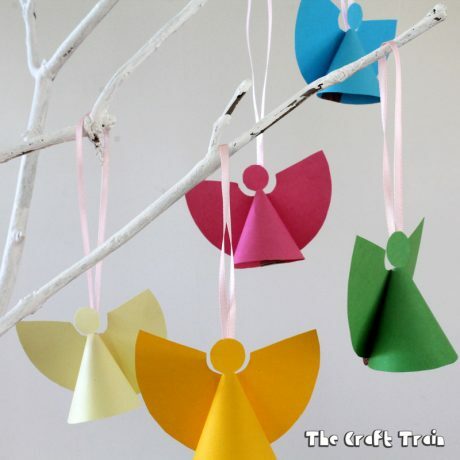 I love recycling materials to make new awesome crafts!